Schnitzels, everyone I know has made or had schnitzels. My mum made them when I was growing up, most mum's I knew made them. 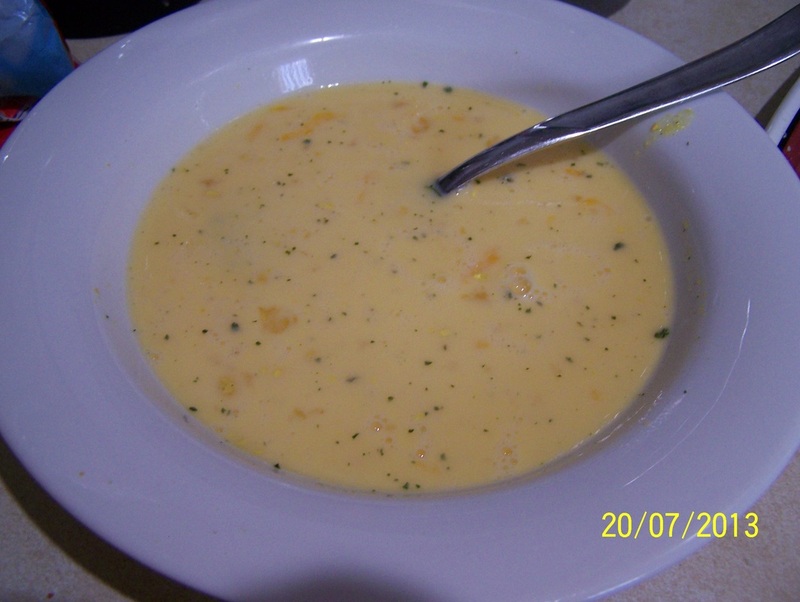 This is one of those recipes however that I have moved on from how my mum made it, and I think, improved on it. I don't like plain packaged breadcrumbs, I'm always disappointed with the end result. So when watching TV one day I saw a TV chef use fresh breadcrumbs (say 2 day old bread) and I have never gone back. What a difference it makes. The end result is so nice, it is just so worth the extra effort. And by adding a few additional ingredients to the crumbs, you have a simply gorgeous dinner. 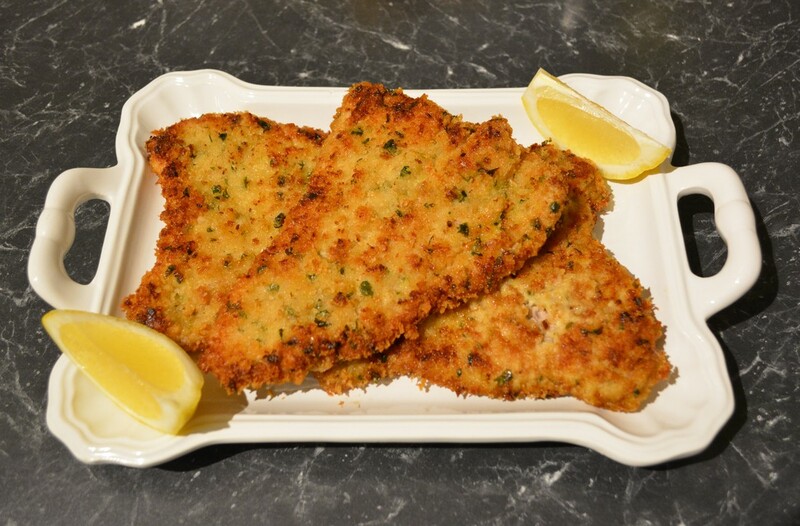 You can use veal schnitzels or chicken, if you prefer. The recipe says to use pork leg steaks but I quite often buy pork fillets and get my butcher to slice them into schnitzels for me. I recently had a party at my place and had loads of bread left over, here is a great way to use some of it up. I just chopped it up, stuck it in my food processor, and you have fresh crumbs in seconds. If you must use packet crumbs, use the Japanese Panko crumbs, much nicer than plain crumbs. But at the end of the day I still say fresh is best. Lastly, if you really want to make it but only have really fresh bread, I suggest you use half fresh crumbs and half panko crumbs as really fresh bread doesn't blitz properly, it is still quite chunky, so by mixing the two you get a better outcome. Please try these schnitzels, they are truly delicious. Place the bread in a (mini) food processor, and blitz until coarse crumbs are made. Remove, place on a long plate or bowl. You can finely chop the parsley with a knife and crush the garlic with a crusher, but I just toss both into my mini food processor and blitz them together, much easier. 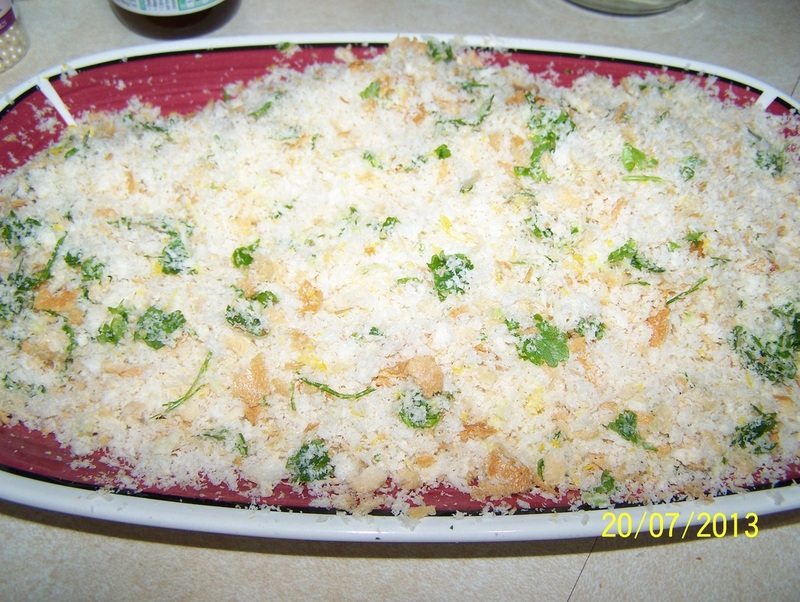 To the breadcrumbs add the lemon rind, parsley and garlic, toss gently to mix it all with the breadcrumbs. Season the pork with salt and pepper. If the slices are really large cut them in half, if for a party cut them into strips. If the pork is too thick pound it a little with a meat mallet so it cooks faster. Place the egg and milk in a separate bowl, add vegeta if using, and whisk until combined. 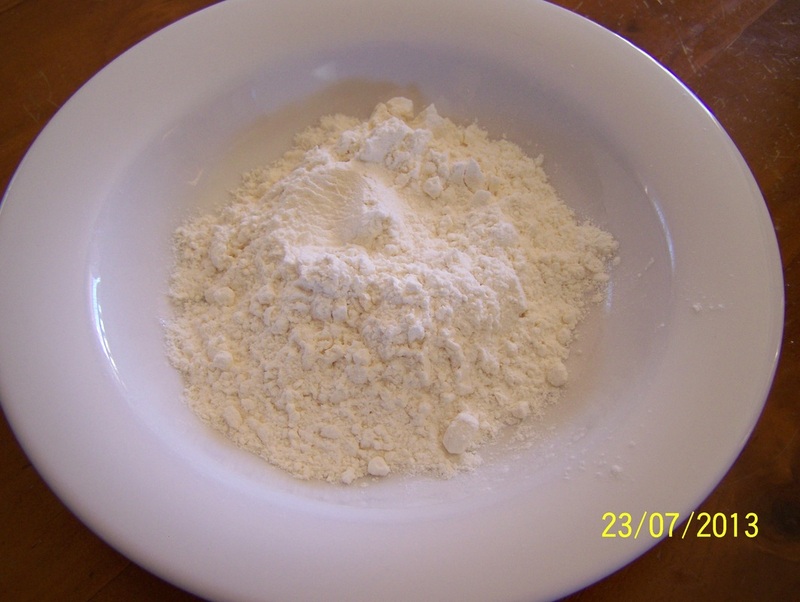 Dust the schnitzels in the flour, shake off excess flour. 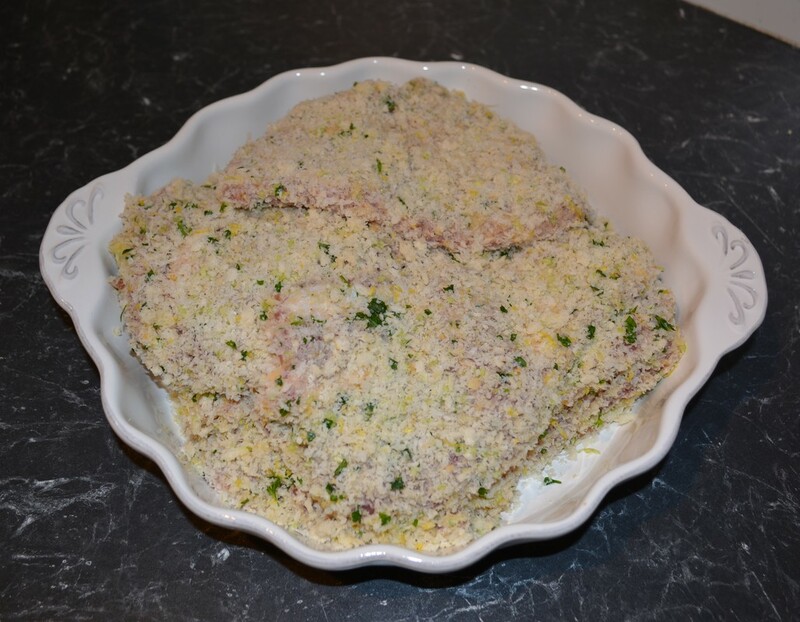 Dip into the egg wash, then place on the crumbs, gently press the crumb mixture all over the pork. Repeat until all the pork is done. Heat olive oil in a large non stick frying pan. Over a medium heat cook the schnitzels 2-3 minutes on each side until golden brown and cooked through. Place on paper towels to drain excess oil or place on a wire rack. Season with a little extra salt and pepper if needed. Slice up the lemons (that you grated) into wedges, serve with the pork. This goes with so many things try broccolini, mashed potato, tomatoes, a green salad, whatever you like really.